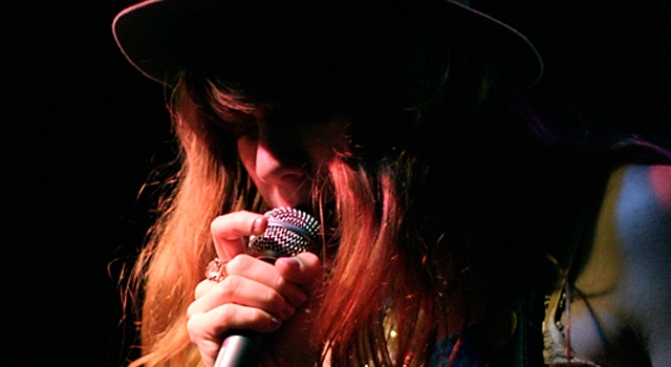 Jenny Lewis will perform at the Fillmore Thursday and Friday night. Little- known fact: singer-songwriter Jenny Lewis began her career as a child actor, appearing in television shows like Baywatch and Rosanne. More recently, Lewis was one of the singers in Rilo Kiley, a popular indie rock outfit. With her newest solo venture, Lewis has moved away from her country roots into rock and soul territory. Thursday and Friday night, Lewis will perform songs from her last two solo albums - "Rabbit Fur Coat" and "Acid Tongue" - at the famed Fillmore. The Sadies will accompany Lewis as the opener. The new album features colloborations with music icons Elvis Costello and Chris Robinson of the Black Crowes. It also features Johnathon Rice, Farmer Dave Scher, M. Ward, Jason Boesel and more. Tickets are still available for both shows from Live Nation. Ariel Schwartz is a freelance writer and blogger based in San Francisco. You can check out her work at Fast Company and Clean Technia.